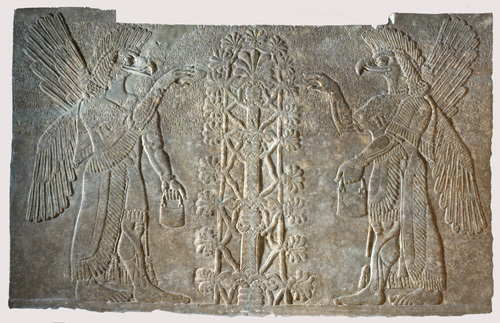 The Assyrian relief sculptures in this exhibition are some of the most extraordinary pieces in the Bowdoin collection. Carved at the behest of the Assyrian king Ashurnasirpal II in the ninth century B.C.E., these stone panels once decorated the walls of the royal palace in the king’s new capital at ancient Kalhu, located along the upper reaches of the Tigris River, in present-day northern Iraq. 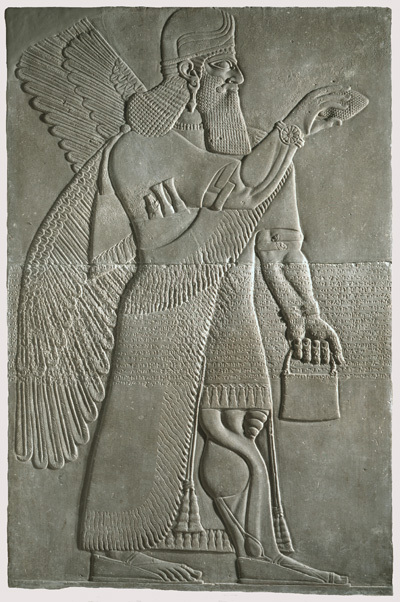 The carved reliefs were finished with an overlay of cuneiform writing listing the king’s accomplishments. 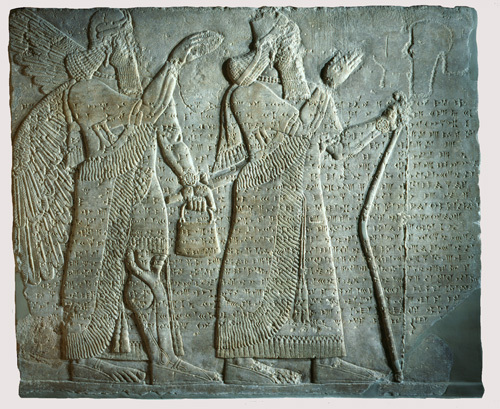 Together sculpture and text offer a visual narrative of Ashurnasirpal’s deeds supported by figures both mortal and divine. 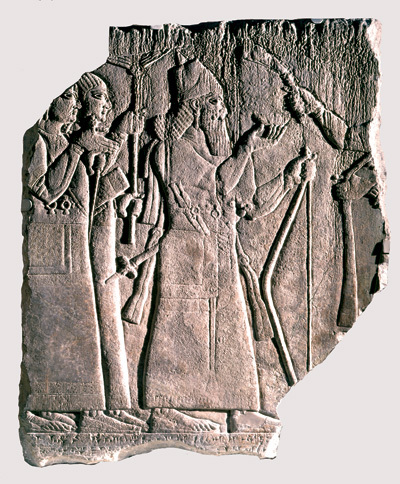 His extensive and innovative use of stone décor represented a departure from the styles of his predecessors and set a standard for subsequent Assyrian monarchs. Preserved despite the sack of the palace in late seventh century B.C.E., the Bowdoin reliefs remained buried until their rediscovery in the 1840s during the excavations carried out by Sir Austen Henry Layard. 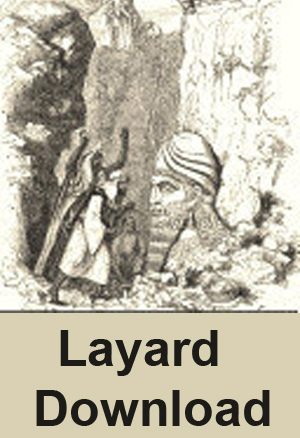 At the conclusion of his work in 1861 Layard shipped many of the reliefs to Britain and allowed others to be purchased by American missionaries. Dr. Henri Byron Haskell, Bowdoin Medical School Class of 1855, selected the five large reliefs in this exhibition and sent them to Brunswick, where they arrived in 1860. The works in this exhibition are witnesses to an important era in the history of the ancient Near East and hold a special place in the lore of Bowdoin College. Critical support for the Assyrian Collection at the Bowdoin College Museum of Art is provided by the Yadgar Family Endowment. Download educational resources developed by Bowdoin College students. 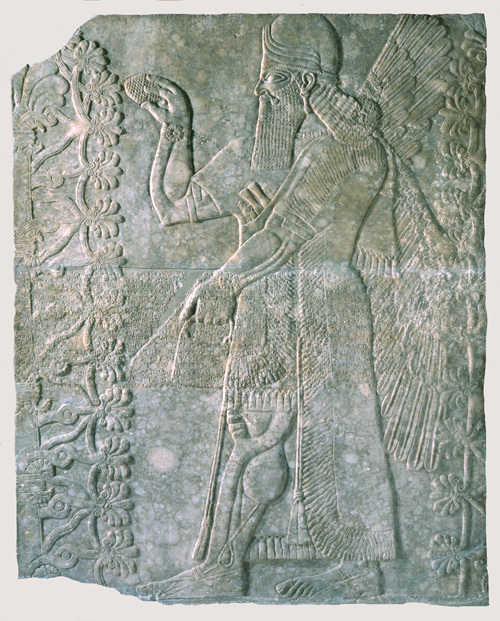 Assyrian Bas Reliefs at the Bowdoin College Museum of Art, published in 1989. Austen Henry Layard’s account Discoveries at Nineveh (New York: J. C. Derby, 1854). Hammer, Joshua. “The Salvation of Mosul.” Smithsonian Magazine. October 2017. Rey, Dr. Sebastian and Dr. John MacGinnis. “The archaeological treasures IS failed to destroy.” BBC News. 29 Sep 2017. Briggs, Marcia. “Reduced to rubble by ISIS, archaeologists see a new day for ancient city of Nimrud.” PBS News Hour. 12 April 2017. Feuer, Alan. “Hobby Lobby Agrees to Forfeit 5,500 Artifacts Smuggled Out of Iraq.” The New York Times. 5 July 2017. “ISIS leaves Mosul museum in ruins as Iraq forces advance.” CBS News. 8 March 2017. Ellis-Petersen, Hannah. “Answering ‘cultural genocide’: Iraq’s looted treasures to be displayed at Venice Biennale.” The Guardian. 21 February 2017. Kafanov, Lucy. “Iraqis Mourn Destruction of Ancient City of Nimrud: ISIS ‘Tried to Destroy the Identity of Iraq.’” NBC News. 11 December 2016. Fahim, Kareem. 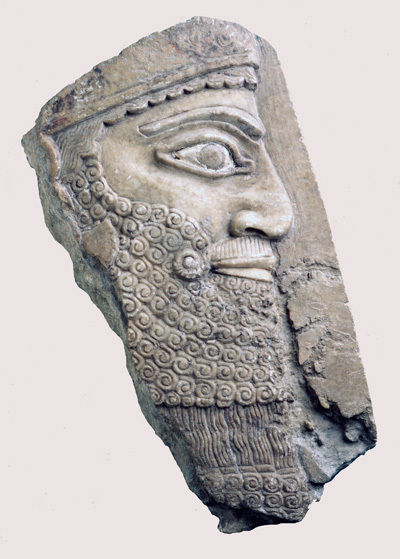 “Islamic State is driven from ancient Nimrud, where destruction is ‘worse than we thought.’” The Washington Post. 16 November 2016. “Nimrud: Photos show IS destruction of ancient Iraqi city.” BBC News. 15 November 2016. Meyers, Steven Lee and Nicholas Kulish. “‘Broken System’ Allows ISIS to Profit From Looted Antiquities.” The New York Times. 9 January 2016. Higginbotham, Professor James. “Professor Higginbotham: The Islamic State’s Attack on the Past.” Bowdoin College News. 12 March 2015. Williams, A. R.. “ISIS Bulldozes One-of-a-Kind Ancient Palace in Iraq.” National Geographic. 6 March, 2015. Artwork at the Museum of Art: Student Choice–Blanche Froelich ’ 19. Endowment for the Assyrian Collection. "Saving Cultural Heritage: From Haiti to Mosul"
Heilbrunn Timeline of Art History: "The Rediscovery of Assyria"